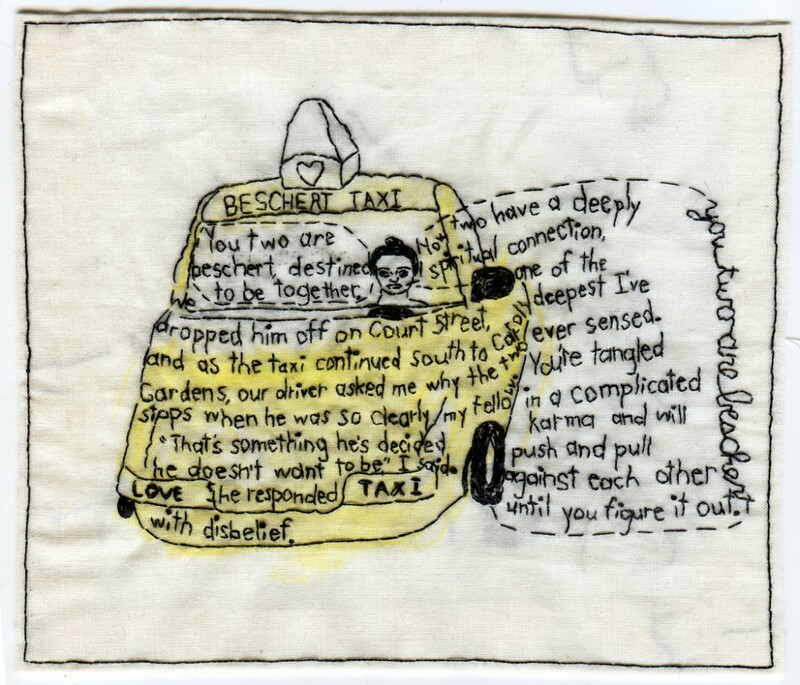 "Beschert Taxi." Embroidery and watercolor on fabric. 2011. Part of the Brooklyn Love Exchange. 6.25x7". In the collection of Leslie Rummel.